Johnny Cash's "American VI: Ain't No Grave"
Cash has long played the bard in the Bybee family. My Dad was a big fan of the Man in Black of the 1950s and 60s. Consequently, I grew up loving the boom-chicka-boom of Cash’s Sun years and early career. But I’m equally fond of his late career renaissance on the American label. Rick Rubin has produced the final chapter in the opus of an American legend. Death hangs like a pall over these songs, recorded just prior to Cash’s death in 2003. The title track is the best (aided by an appearance from the brothers Avett, no less), but Redemption Day, For the Good Times, and Last Night I Had the Strangest Dream are also great. This one is sure to make an appearance on my year-end list. Dawes is an L.A.-based folk rock band that I recently heard on an episode of Chuck. (If you’re not watching Chuck — Mondays on NBC — you really should. Not only is it a great show, but every episode features some really cool music.) I promptly went out and picked up their North Hills LP (which is available on eMusic) and I can’t stop listening to it. According to their wiki page, Dawes recorded this album live to analog cassette, which gives it a classic, vintage sound. There are plenty of Crosby, Stills, & Nash-esque tunes here — That Western Skyline, When You Call My Name, Bedside Manner — but the best cut on the disc is When My Time Comes, whose soaring melody is firmly embedded in my mind now. I recently came across this indie band and I really like them. They’re kind of like Animal Collective, only good. 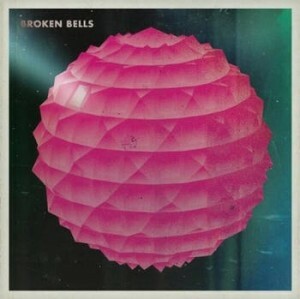 Seriously, if you were down with Grizzly Bear’s Veckatimest last year, you’ll like Broken Bells, an unlikely collaboration between James Mercer — singer and guitarist of the jangly indie darlings, the Shins — and Brian Burton, a.k.a. Danger Mouse, a hip-hop & electronica producer with résumé credits including Beck, Gorillaz, and Gnarls Barkley. But the combination really works. Check out The High Road, Vaporize, and October and see for yourself. Another solid album in an otherwise unimpressive slate of 2010 releases. I’ve also been listening to a lot of Radiohead lately; Dwight Yoakam, too. I had kind of forgotten how much I love Yoakam’s southern California country twang. Good stuff. This entry was posted in Cash, Music and tagged Broken Bells, Dawes, Dwight Yoakam, Johnny Cash, Radiohead. Bookmark the permalink. I had forgotten all about Dawes until I read this post! I first heard them on a “Paste” sampler…I enjoy their rather simple sound in an other wise busy electro-pop indie market right now. That’s not to say that I haven’t enjoyed what’s come out of that genre (e.g., Grizzly Bear, Sleigh Bells, MGMT, etc. 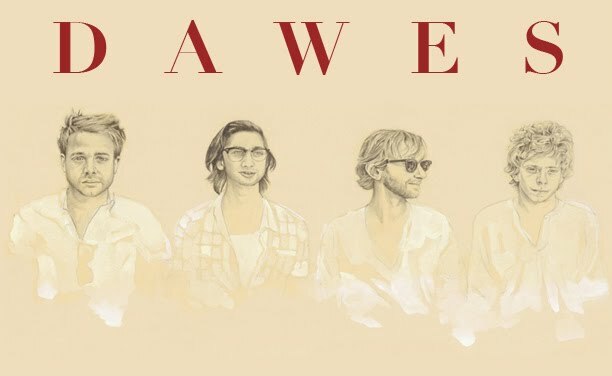 ), but that Dawes is a refreshing break from such – they remind me a bit of Fleet Foxes with their use of harmony as a central piece to their arrangements. Have you heard the two tracks released from Ritter’s upcoming LP? I’m really, REALLY looking forward to picking up a copy. I have one of the Ritter tracks…Change of Time I think. I didn’t know he’d released another one. I’m really looking forward to the LP as well. Do you listen to The National? They’re supposed to have a new one out in May. I just saw that Ritter is going to be in Atlanta on May 13. You going? I could be. That’s a Thursday night, which is good for me. Let’s talk via email about it. By the way, where / how did you find a second free download from Ritter’s new album (other than Change of Time)? JB – apparently I misspoke! I thought he had released the track “Another New World.” Mea Culpa! I love Fleet Foxes, by the way. Have you ever listened to Matthew Barber? He’s a Canadian singer / songwriter. I think you’d like him. He released a new one a couple weeks ago that’s really solid. I’ll probably write about it sometime soon. I haven’t heard of the good Matthew Barber. I’ll have to find him and give him a spin. Oh, and as to your previous inquiry about The National, they’re someone that I haven’t really given a lot of play to. I have heard a couple of tracks here and there and read about them in several spots, but I have yet to give them a serious listen. Any recommendations for their tracks? And if you peruse Barber, check out Where the River Bends. A favorite of mine.